The common assumption in 2019 is that everyone gets treated the same. But the stark reality is that things haven’t changed much in top leadership and board of directors positions if you’re not male and Caucasian. This is a problem for those empowered to improve workforce diversity success. That’s why businesses leaders must take matters into their own hands. The gender gap has narrowed since 1980. It has remained stagnant, however, in recent years. Women were making 82 percent of what men earned in 2017, a Pew Research Center study found. Another 2018 Pew Research Center study found that income gaps between racial and ethnic groups are wider than they were in 1970 (in some cases). No one wants to admit it. America’s problem advocating for workforce diversity success and inclusivity continues to spin its wheels. In the current climate, how can forward-thinking leaders transform poor workplace diversity? 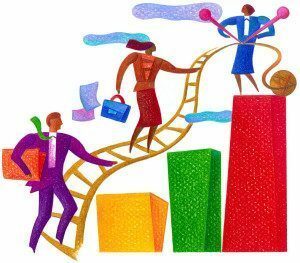 Business growth and workforce diversity success. Diversity in how people think and learn improves problem solving success. Employees who must think the same and come from the similar backgrounds produce blind spots that make good problem solving problematic because of groupthink. Diversity in employee backgrounds produce higher levels of street smarts both in customer service and in cross-functional team problem solving. Ethnic diversity improves productivity as employees prove themselves by striving to do their best. Diversity on projects improves success. All male teams do not perform as well when there are no women on them. Not only does diversity increase productivity, but it also ensures that every project gets the best treatment possible. A traditional approach to this problem, however, is anything but helpful. So, what is next? Work culture behavior, influenced by leaders, resides at the root cause of workforce diversity success. By measuring the quality of six principles required for high performance teams and organizations, you can identify how workplace diversity success – or the lack of it – is impacting you. 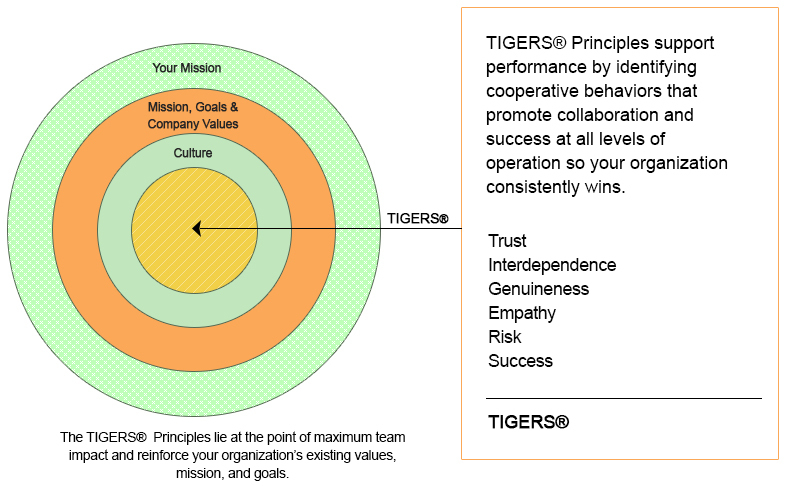 The six principles are trust, interdependence, genuineness, empathy, risk and success. When behaviors that support these six principles are present in your work culture, expect work productivity to soar. This is fully measurable as cost savings or productivity improvements in your bottom line. How workforce diversity success improves the bottom line. When everyone feels respected in their workplace, productivity flows like a clear river. Researchers found that diversity in the workplace leads to innovation. Diverse leadership teams also receive higher levels of trust from investors. When a leadership team is diverse, it means that a group of great minds can come together to form more thorough solutions. Investors like it when they can trust where their money is going. This is especially true when solving problems reduces risk in their financial investment. Having a solid team is the core of a productive workplace. One Harvard Business Review study found that diversity has been directly linked to increased productivity in a workplace as measured by market value and revenue. One finding is that diversity saves money through simple logistics. In short, diversity is attractive for investors. It is also attractive for talented employees. The best talent is looking for a diverse work culture to call their job. Inclusivity is also important because everyone deserves to feel like they are included and belong. What top talent thinks about workforce diversity success. What organization does not want to attract and retain top talent? This attraction happens when diversity is readily seen. A 2014 Glassdoor survey found that 67 percent of job seekers distinctly look for diversity when searching for employment. This means that if you want your business to successfully attract top talent, diversity and inclusion must be a top priority. For example, If a company fails to produce workforce diversity success, it could lead to a lack of productivity in the workplace. That’s why it’s crucial to adopt modern diversity practices in order to propel a company far into the future. One way to do this is to start at the top. Diversity and inclusivity training is not just for employees. Managers and supervisors must rid themselves of bias. When everyone takes the topic of diversity and inclusivity seriously, it helps break down gender and race stereotypes and also makes your bottom line stronger and more attractive to investors. Workforce diversity success stems from honoring employee strengths. Eliminating ethnic and gender bias is not impossible. There is a sound underlying truth. That truth is that everyone is equal through their humanity. Therefore, employees should be afforded the same opportunity for career advancement and opportunities to learn. It also includes receiving the same wage for the same job and similar work. Even though we are the same through our humanity, we must also recognize our different strengths and come to accept them. For example, some employees are good with strategy but are poor communicators. Other’s are good solving problems at the root cause. Some are excellent communicators and coaches for improving the skills of employees working with them. Other’s are creative and out-of-the-box thinkers. Some readily see the big picture while others can only see the next step before them. When we accept that employee strengths are different, we can use those differences to drive better decisions. Taking a team approach to a project results in more sensible work decisions. One person making important decisions alone, on the other hand, increases the risk of failure. In addition to streamlining workplace decisions, different perspectives that spring from employee strengths bring more solutions to the table. But different perspectives do not surface without psychological safety. When employees feel safe to come forward with unique ideas, there will be no end to the productivity a business can achieve. Building ground rules around employee input is an excellent way to ensure psychological safety and workforce diversity success. How do different industries impact workforce diversity success? Divergent strengths come in handy in certain fields that have been known to be predominantly caucasian and male. For example, the journalism industry is riddled with problematic constraints. It is an industry that has failed time and time again to include differing perspectives. Although February is Black History Month, the publication Esquire found it necessary to publish a feature article about the classic suburban white teenager on Feb. 12, 2019. The argument was that they were reaching out to their audience, with a zero nod to white masculinity. Was there backlash? Yes. If Esquire was focused on reducing their journalistic bias and increasing workforce diversity success, they would not have been met with disfavor from their own readership. For some of their readers, ethnic, sexual orientation and gender diversity are considered assets. Similar diversity problems are also seen in the schools of engineering. There are serious problems when students find themselves without any kind of representation on faculty. If we are having problems accepting diversity strengths in higher education, it makes sense that leaders who graduate from these programs will find it difficult to build diverse and inclusive solutions within their own organizations. This is why it’s crucial to tackle the monster that has become to be known as toxic white masculinity. Be it “black face” in college year books, sexual assault allegations against contenders for the Supreme Court, or racist smears against a president of the United States, if we want business to grow, workforce diversity success is important. Workforce diversity success creates powerful leaders. When a company focuses on increasing diversity and inclusivity in the workplace, they’re in turn creating leaders that can work together to solve problems. Continuously pushing employees to hone their leadership skills helps a business outperform their competitors. A McKinsey & Company survey found that companies that are diverse beat out their competitors by 35 percent. For example, in 2017, Amazon faced the problem that their board was predominately male and white. In 2019 this has changed. Amazon has now hired the fourth female to the Board and she is the first African-American board member. This development changed Amazon’s work culture dynamic in two years. Paying attention to diversity and inclusivity can change the ballgame for a business. As Amazon discovered, building a diverse team on their Board trickles down to company leaders. On top of that, it also produces a positive influence and impact on everyone in the company. When leadership is diverse, employees feel more safe and trust is stronger. For example, when an employee comes to management about a diversity or inclusivity problem, it is important for the employee to feel comfortable with the leader. When an employee feels comfortable, it leads to positive outcomes because the leader is trusted regardless of the decision. This is why diversity training for leaders is crucial. When organizations take the time to train leaders in their workforce, they are subsequently investing in the future of their business. It doesn’t matter what kind of field your business operates in. Training women and minorities in leadership is the best way to combat the problem of lacking diversity in leadership. When leadership is diverse, workforce diversity success follows soon after. The bottom line is to never give up on diversity and inclusivity. Without these factors, a business cannot produce a healthy work culture that attracts and retains talented employees. Care to dig deeper into this workforce diversity success topic? Is This The Answer To Diversity And Inclusion?